From executive producers Roma Downey and Mark Burnett comes A.D. The Bible Continues the spectacular 12-part series that picks up where The Bible left off. This powerful spiritual journey begins with the crucifixion and resurrection of Christ, chronicling the heroic acts and sacrifices of His early followers during the most tumultuous of times as they change the course of human history. Featuring an extraordinary international cast, thrilling action and astonishing visual effects, A.D. 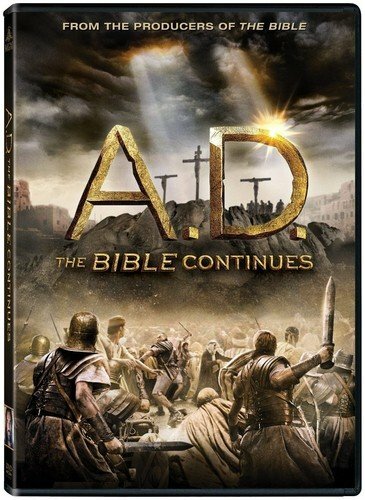 The Bible Continues is an epic story for the ages...and inspiring entertainment for everyone.